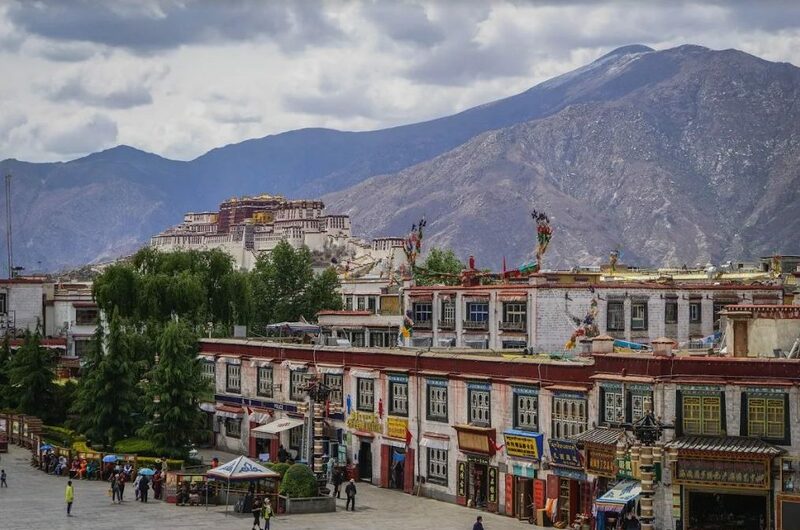 A must-see experience in Lhasa is the monks debating at Sera monastery, one of the most famous debating monasteries in Tibet. This monastery is in a stunning location, wedged up against the side of a mountain near Lhasa, with hermitages and meditation caves abounding all over the hillside. According to ancient Buddhist texts, Buddha himself was a master of debate, and was so successful in converting his opponents that he was often accused of using magic to sway their beliefs. Now centuries later, as part of their training, these monks participate in daily debates, seen as an essential part of teaching the path to enlightenment. Monks in Tibetan universities spend years studying the art of debate, and it is an important part of their learning to increase clarity and aid the development of wisdom. The central purpose of monastic debating is to conquer the misconceptions of the mind in order to establish a correct understanding of the nature of reality. It is seen as one of the paths to wisdom. and is so valued that if one loses a debate, one is compelled to accept the argument of the other debater. These amazing monks are now having to adapt to modern day impacts which are impinging their centuries old culture. The many new influences mean that this debating training may be essential for monks to adapt skilfully, with discrimination, to these influences and make informed and intelligent choices. Find out more about our Sacred Journey to Kailash in September next year!